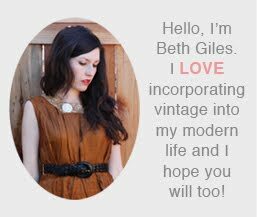 I purchased this vintage dress from a women at a vintage clothing show that said it was hers when she was a little girl. I love the color combo, the pin stripes and the little embroidered doggies. I put Ruby in it the other day and followed her around taking pictures. It's pretty much impossible to get her to pose, so I wrote a little story to go along with the random photos I took, pretty silly, but kind of fun. Hope you have a great Wednesday! 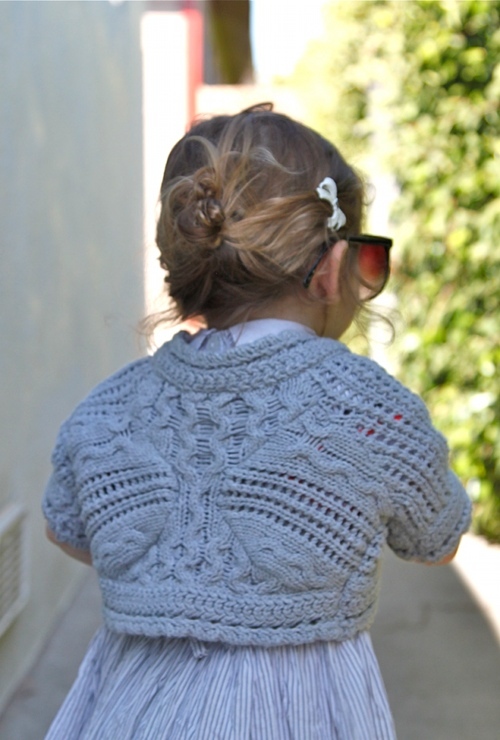 Once upon a time there was a little girl named Ruby who loved to wear vintage. 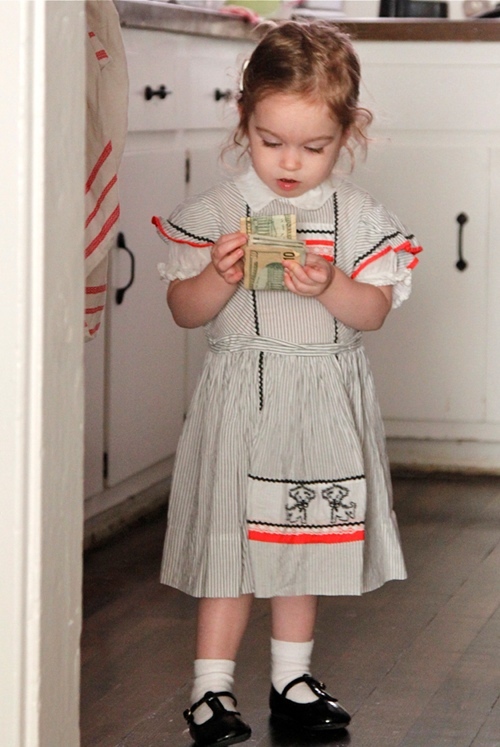 She found some money that had fallen out of her mom's purse, so she thought she would go out on a vintage shopping trip. She was very excited for her adventure! 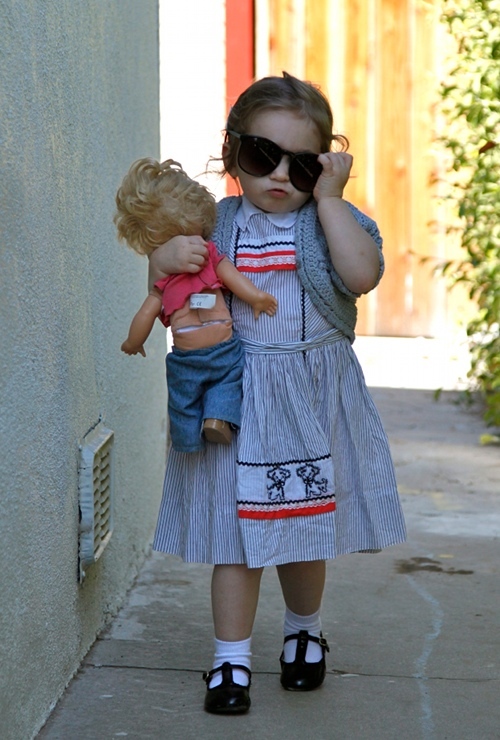 Ruby threw on her favorite knit gray shrug, borrowed her mom's sunglasses, grabbed her baby doll and set out to her favorite vintage shop. When she was about half way down the driveway, Ruby remembered that she couldn't drive and she missed her mommy, so she headed for home. 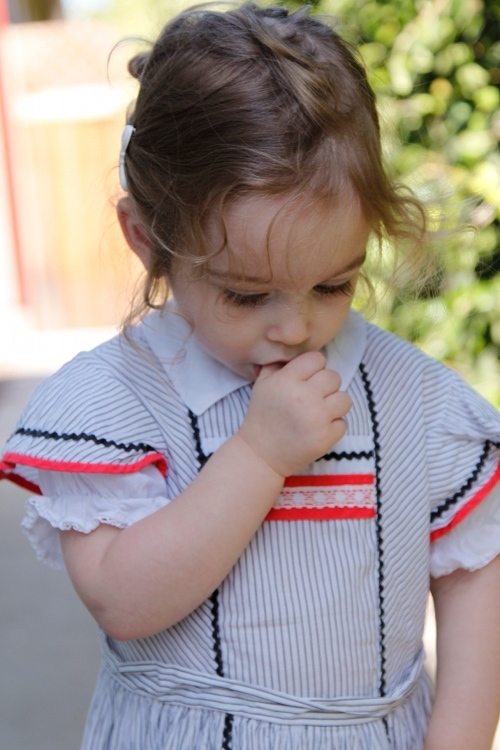 Luckily, Ruby had her thumb to comfort her when mommy saw that she had tried to go shopping with her money. O.K. I'm officially freeezing time for you.. just too precious to let go!